We’ve been following this micro-cap stock for a while now, and have been closely watching the way Prospect Resources (ASX:PSC) is taking positions in African resource plays. PSC’s plan is to identify historical gold mines which have been closed for decades but have significant potential with modern exploration techniques. The team then re-open the mines and develop positive cashflow, currently looking toward an annualised production target of approximately 15,000 to 20,000 ounces of gold per year. That was the previous plan, but an opportunistic new project acquisition has just expanded PSC’s asset base considerably. PSC just acquired an option over a 12km gold system, with four main drill targets – that are shallow and have previously seen limited exploration. It’s dubbed the Moba Gold Project , and it is located amongst a band of other gold exploration companies in the Democratic Republic of Congo (DRC), a country that hosts multi-million ounce gold deposits. With historic shallow mining of 325,000 oz. from less than 25m depth, this new acquisition plays into PSC’s overarching plans. PSC now has two main points of focus. With PSC completing rehabilitation and mine construction at its Prestwood Gold Mine and moving into production mode, the future looks bright in Zimbabwe for PSC too. The company is currently building a stockpile of development ore from shaft sinking and drive development prior to full scale stoping. The development stockpile will be toll treated at the nearby Farvic Mine, and first gold production is imminent. Before we go too far, it should be noted that PSC is a very high risk stock. Getting mining projects up and running in countries such as Zimbabwe and the DRC is no simple feat for political and social reasons, and there may be challenges ahead. PSC also recently completed a share placement at 0.5c per share to raise $200,000, with fully underwritten rights to raise an additional $515,000. As one of the directors is sub-underwriting $300,000 of the issue, management confidence is high. The total of $715,000 will be used as working capital buffer in anticipation of the commencement of gold production at Prestwood. So now with the game play set, we’ll take you through PSC’s assets in a bit more detail and take a look at the recent news which indicates that PSC is ready to take the next step on the journey. 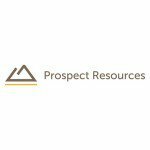 Let’s kick things off with a look at Prospect Resources (ASX:PSC)’s new project acquisition. 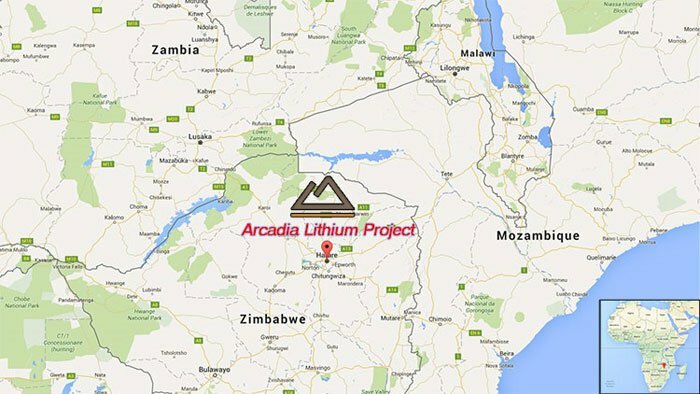 PSC recently announced that they had been given the option to acquire the Moba Gold Project . Moba is a 12km gold system in the DRC that, like Prestwood, has been underexplored since colonial era and is in need of some exploration loving. Here’s a map to give you an idea of exactly where Moba sits in the DRC. The Moba Gold Project consists of two colonial era mines operating between 1939 and 1942 and then from 1953 to 1958.History shows that in the early to mid-20 th century, Moba produced 325,000oz from less than 35m depth. It is not the only project with historical weight in the region. Could PSC build something of significance at Moba in the DRC? The Moba project area comprises more than 12km of gold bearing structures in an approximately 50km diameter metal zonation. The details of the deal will see PSC gain a 70% interest in tenements prospective for gold in the DRC through an option to acquire 100% of Oryx mining and Exploration, the company that rediscovered the Moba project. PSC will pay a $10,000 option fee and then has 180 days to conduct its due diligence. To exercise the option PSC will pay $90,000 in cash and $1 million in shares. A further $2.5 million in shares will be paid out upon the first pouring of gold within two years of the option being exercised. As you can see the option for Moba complements PSC’s Prestwood mine gold play. Exploration over the past three years has delineated a significant gold bearing system. The mine has undergone drilling, pitting, trenching and grab/channel sampling. The Mutotolwa Target, where 1276m drilling has tested an approximate 3km gold structure including 400m strike length averaging 7g/t over 1m and 600m strike averaging 6g/t over 1m. The Kamalingela Prospect consists of the Kamalingela Nord and South Targets, where gold values up to 69g/t were reported with an average gold grade of 3.13g/t and trenching returning values of 13m at 7.7g/t, 30m at 1.5g/t and 4m at 4.85g/t. 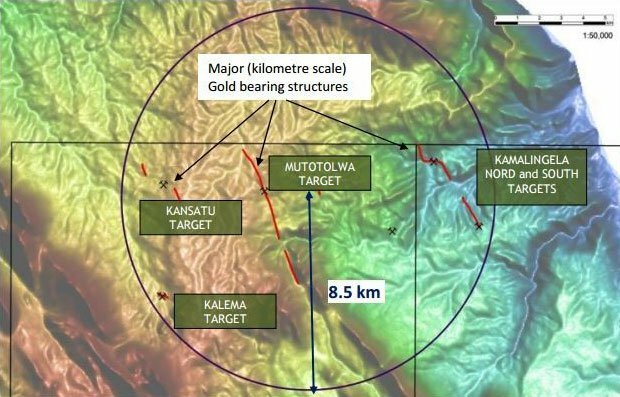 The Mt Kalema Target with a 0.8km strike length gold target. The Kansatu Target where 22 trenches were excavated and reported gold quartz veins over a total strike length of 1.5km. The four main drill targets to date. Much of PSC’s business model is to get gold production from re-worked gold mines in Zimbabwe underway, starting with the Prestwood mine and then moving onto others including Bushtick. It’s similar to what oil companies do in working over old oil wells with new techniques to squeeze the remaining life from them. The PSC team have 14 years experience in the area and believe that these old shafts are part of a bigger geological picture which has not been proven due to a mixture of economic and geological issues over the last 60 years. They have proof of concept at the nearby Farvic and Prince Olaf mines as well as information from various aeromag and drilling data. Collectively, PSC is targeting a cluster of mines referred to as the Gwanda East project. The first mine targeted by PSC is the Prestwood mine. Thanks to exhaustive work clearing out debris which had fallen into the mine shaft over time and readying themselves for modern production – PSC should be pulling out gold ore any day now. Historically, Prestwood gold production was limited to areas above level 4, this development being completed before 1920 – all subsequent production has been closer to surface. Armed with drill data from six holes drilled back in 2014 targeting the area below level four, PSC now know the reef package extends to depth, with good grade proven. Five of six holes hit mineralisation which was part of the main Prestwood Reef (where the gold is coming from), below the existing workings, 195m below surface. Here’s a picture of what those drillholes were able to intersect. As you can see, the holes were drilled to levels below the existing workings. This is where PSC is focusing its efforts. The company will admit that it’s taken longer than planned to get to this point, but we’re about to see PSC kick off its grand gold plans in Zimbabwe. With Prestwood in full development (we understand that daily shaft sinking teams are making great progress), a second team has begun developing the nearby Prestwood A incline shaft. A temporary head gear has been erected with the team making the shaft safe and lashing waste accumulated over the years. Plans are at an advanced stage to do the same at the Bucks Reef East vertical shaft in the coming weeks. Thereafter the Sally mine, which is also part of the same geological system will be worked on. De-watering, mapping and sampling is ongoing in this mine already. Overall gold production is aimed at about 200 tonnes of gold ore per day by 2017, with Prestwood to contribute 40 tonnes per day. Prestwood is slated to produce some 200 ounces of gold per month. Now, spinning that out we can expect Prestwood, not accounting for any additional investment, could produce 2000-3000/oz. per year. That is from one mine. Of course making static forward projections based on a gold price that is always moving isn’t exactly best practice, so don’t take those figures as gospel and apply caution to your investment decision. Now, not a lot is known about these gold mines or their history, but we’ve managed to track down some historical writing on the exact mines PSC is hoping to tap. Below is an extract from Gold Mines of Rhodesia by D J Bowen , which goes into the back-story of a mine which was once described as a ‘fairy tale’. The gist of this book was that the mine was a source of great wealth creation (producing at more than 60g/t) and then great frustration for gold miners because equipment failure and a lack of exploration. Here’s a look at former and current producers in the Eastern Gwanda belt. The mine had all the promise in the world with great hits, but equipment used to mine it broke down and it was way too difficult to get new equipment to the-then Rhodesia. With modern exploration techniques, PSC could realise the early potential the miners in the 1900s were chasing. 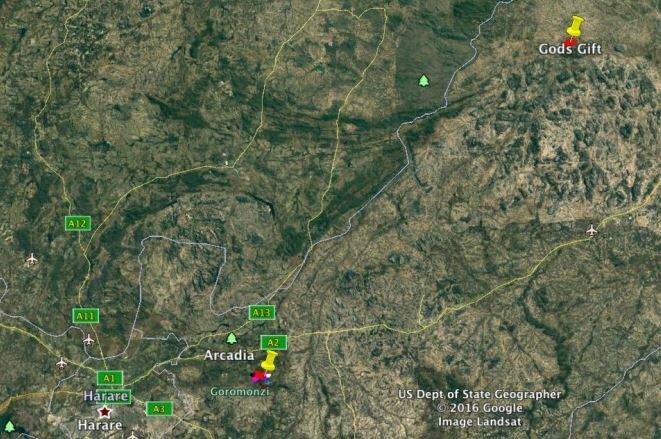 With production at Prestwood to commence in the coming weeks , the dominos may start to fall for PSC in Zimbabwe. It helps to push the dominos over when you have some cash in the bank. PSC has begun a $715,000 capital raising by issuing approximately 143m shares at 0.5c per share . The funds are to be used for general working capital and to provide the Company with a working capital buffer. 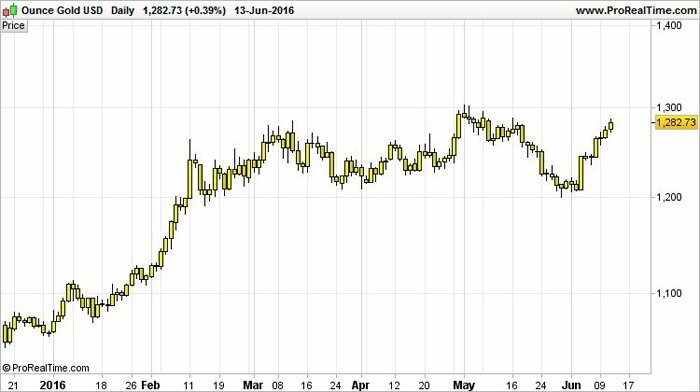 This is occurring as PSC anticipates the commencement of gold production at Prestwood. Fully underwritten non-renounceable rights issue of $515,000 whereby each eligible shareholder will have the right to subscribe for 1 new share at 0.5c per shares for every 9 shares held. PSC is building a stockpile of development ore which will be ‘toll treated’ as a priority, which means the extra funds will come in very handy. PSC is a very early stage play, no doubt. It has no production to this point, and should be treated as a high risk investment due to the countries the company operates in. PSC represents one of the cheapest entry point into the gold exploration and production space that you could hope for. By building a suite of gold mines in Zimbabwe and now potentially in the DRC as well, it has a plan to generate at least $2.7 million in revenue per year – and that’s based off one gold mine, rather than the three or four PSC is immediately targeting. It has completed rehabilitation at Prestwood and is set to raise $715,000 to be used as working capital in anticipation of gold flow. It is now also doing due diligence on the acquisition option at Mobo. PSC is at the foot of the mountain right now, and it’s potentially merely weeks away from starting the journey upward.